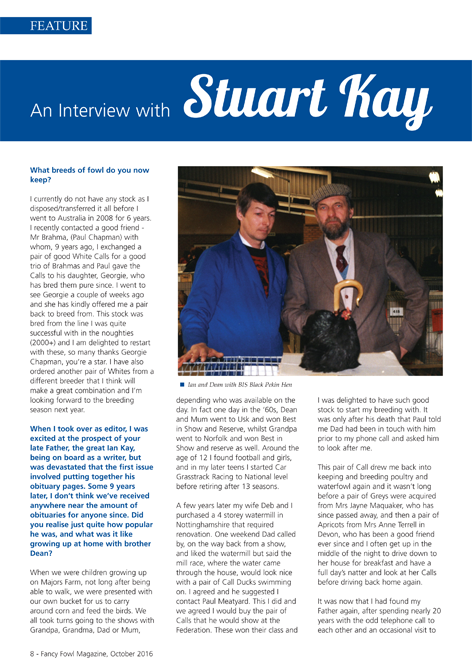 Stuart did an interview with Grant Brereton, the Editor of Fancy Fowl. If you don’t already subscribe to Fancy Fowl, you should as it’s an awesome read. ← Please look at our new look website with lots of special offers.